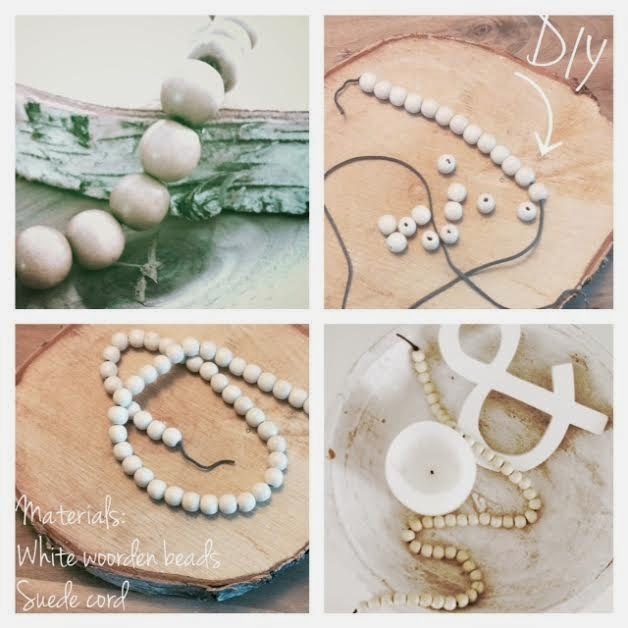 Wooden beads are a trend in interiors e.g. the wardrobe snake and I really like the look of wooden elements in the house! This DIY is done in an instant and I don't think a turorial is necessary....and on a rainy day like today, a Sunny thing-to-do!